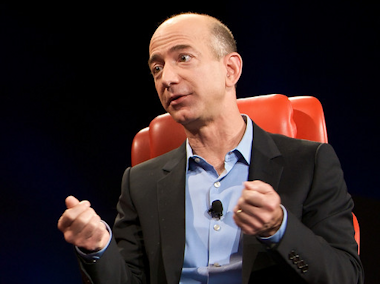 Amazon CEO Jeff Bezos bought the Washington Post for $250 million, saying that to chart a future for the iconic newspaper, “we will need to invent, which means we will need to experiment.” AllThingsD‘s co-executive editor Kara Swisher had more than a few thoughts about how to do that, having started her career in the Post’s mailroom: “Fusing the old-media storytelling and news-integrity values that I learned at the Post with the Internet values of speed and personality … is critical,” she wrote in an open letter to Bezos. With 31 billion messages sent and received every day, WhatsApp has connected hundreds of millions of users around the globe. And now for its next trick: Push-to-talk voice messaging. It wasn’t a great week for Samsung and the U.S. International Trade Commission: The Obama administration’s veto of a proposed import ban on multiple Apple products wiped out $1 billion of the South Korean tech giant’s market value. Then, on Friday, the ITC banned a slew of Samsung products, ruling that they had infringed on two Apple patents. Tumblr, which had raised $125 million since 2007, had $16.6 million in cash left when Yahoo bought it. In a move that brings it closer to its rival Twitter, Facebook has built a team around encouraging celebrities to post more public updates to the site. And that’s just the beginning of a push to bring more Twittery public discussion to your News Feed. While it has apparently already selected a new design, Yahoo aims to get consumers talking about a refresh of its classic purple logo by serving up 30 different logos in the month stretching from last week until Sept. 4.